Shahid Kapoor and Mira Rajput are expecting their second child. Shahid Kapoor posted a photo on Instagram of his daughter Misha lying happily beside a drawing of balloons with "Big sister" written above them. The photo was also posted by Mira Rajput. Have you seen these photos of Bhumi Pednekar, Mira Rajput and Sunny Leone? Have you seen these photos of Priyanka Chopra, Mira Rajput and Ananya Panday? 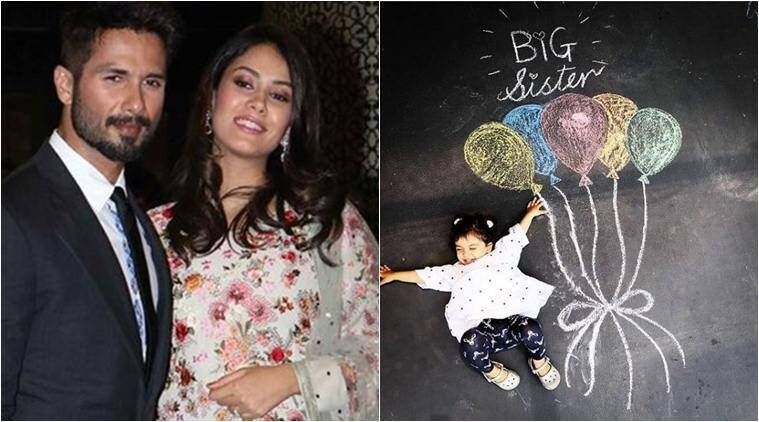 Shahid Kapoor and Mira Rajput’s daughter Misha is soon going to have a sibling. It appears that Indians will have one more star kid to adore now. Shahid Kapoor posted a photo on Instagram of his daughter Misha lying happily beside a drawing of balloons with “Big sister” written above them. The photo was also posted by Mira Rajput. Yes, Shahid and Mira are expecting their second child. Perhaps Taimur Ali Khan and Misha Kapoor herself will get a reprieve now that a new child will capture headlines instead. Mira, a celebrity in her own right, had previously indicated that she is open to having more than one baby.